Kevin Hart is one of the best stand-up comedians working today. But he has also transformed himself into a movie star. In a career spanning more than a decade, he has made several super funny films. In this list, we try to bring to you the top Kevin Hart movies. Kevin Hart a small business owner and he’s helping somebody prepare for a big event and in this case its Will Ferell going to prison for ten years for committing a crime or being framed for committing a crime. 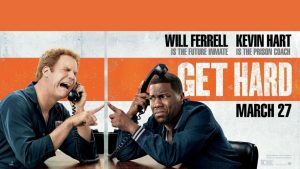 This movie definitely has some laugh-out-loud moments specifically coming from Will Ferell and Kevin Hart. It’s a really fun and enjoyable comedy. In the second and third act of the film which has many hilarious moments that you can enjoy. 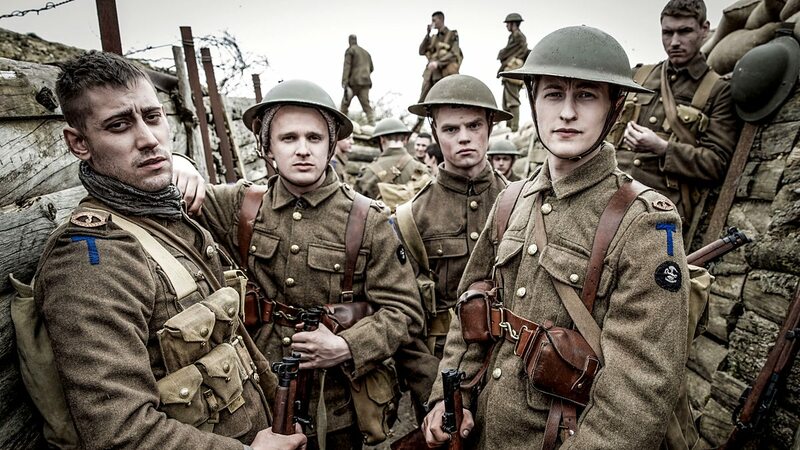 Will Ferell was just having so much fun in his role that he fully embraced the character of James King. 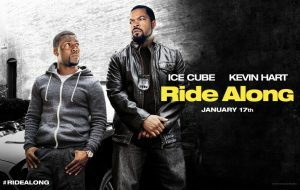 Ride Along basically follows this guy named Ben (Kevin Hart) who is a security officer at the high school and he has a girlfriend but the problem about that is that she has a very overprotecting brother named James (Ice Cube) who doesn’t respect Ben at all. He doesn’t think him as a man so one day Ben gets a letter telling that he got accepted into the police academy. Then for James happiness, Ben and James go for a ride along with disturbances and get into some crazy fun. Kevin Hart is the best thing about the movie. 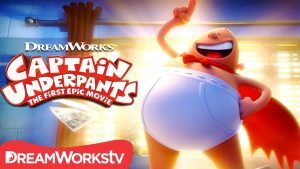 Captain Underpants movie is based on popular series of children’s novel about Captain Underpants and also about these two boys George (Kevin Hart) and Harold (Thomas Middleditch). 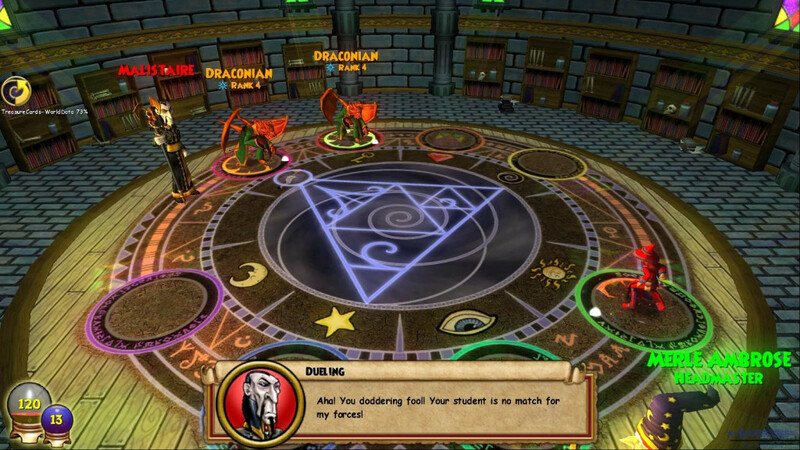 During elementary school, they love to pull pranks and tell jokes and this always angers their principle. So one-day principle tries to separate them but instead, they hypnotize principle using a Hypno ring that they found this out of a cereal box. Then they decide to believe him that he is a Captain Underpants. A superhero character they created from the comics and stories they make together. The movie is visually fun and has a very simple animation style which works in its favor. Top Five is not all about Kevin Hart. Andre Allen a former stand-up comedian and now a movie star who just doesn’t want to do funny movies anymore and wants to be taken seriously as an actor to show his true potential. When he is going around and promoting his new film he forced to do this interview with one girl from The Times and it basically follows these two characters as the girls ask Andre question about his career. 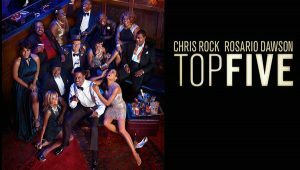 This movie is written, directed and stars Chris Rock. The Kevin Hart’s small role is solid and hilarious. 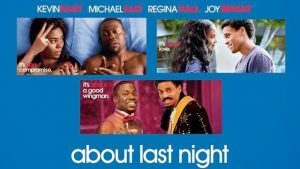 About Last Night is a romantic comedy and this movie is a remake of an 80’s movie. Michel Ealy a really nice guy and he has a friend Kevin Hart. Kevin Hart starts to date a girl and then that girl has a roommate who starts dating Michel Ealy. In this movie, the characters have good chemistry between them. Kevin Hart cracks up funny jokes in every aspect. Overall, you can enjoy this film one time and you are going to love the cast of the movie.